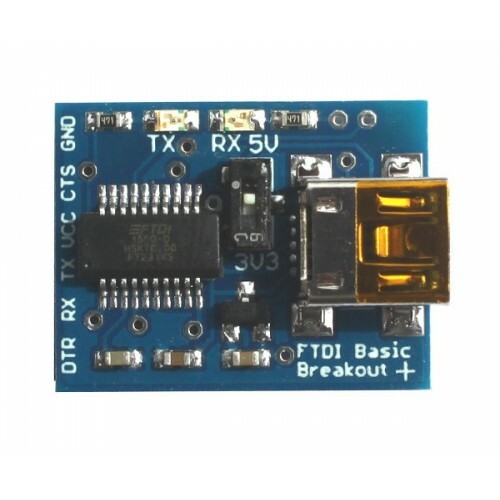 The Hobbytronics FTDI Basic Breakout Plus is a breakout board for the FTDI FT231X USB to serial IC. The pinout of this board matches the similar Sparkfun FTDI Basic boards to work with official Arduino and cloned 5V or 3.3V Arduino boards. 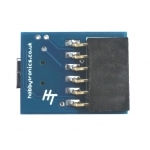 It can also be used for general serial applications. 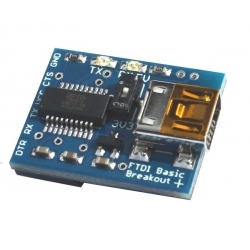 One of the nice features of this board is a switch on the front of the board that allows the board to be configured to either 3.3V or 5V (power only not IO level). 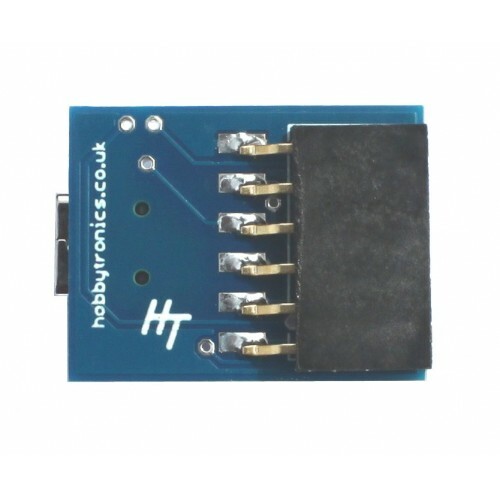 Note that this only switches the output voltage on the VCC pin which is used to power the connected device. The IO pin levels (e.g. 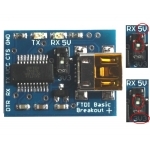 RX and RX etc) remain at 3.3V. 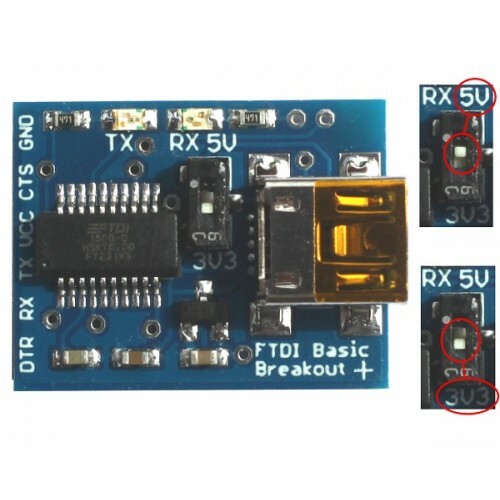 This is not a problem for connecting to both 3.3V and 5V boards. The paddle on the reset switch is resessed to avoid accidental voltage changes. 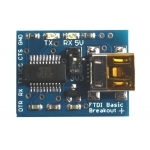 The DTR pin on the board allows an Arduino target to auto-reset when a new Sketch is downloaded. This is a really nice feature to have and allows a sketch to be downloaded without having to hit the reset button. 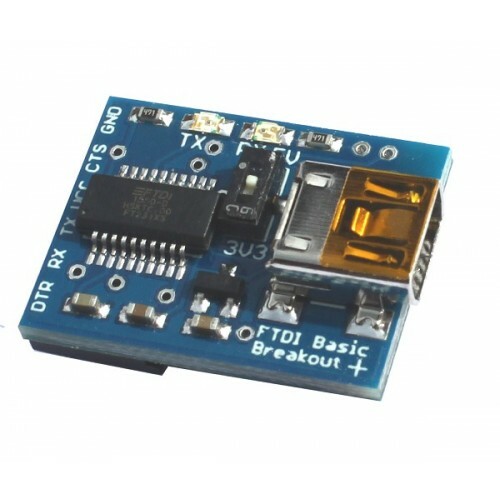 This board will auto reset any Arduino board that has the reset pin brought out to a 6-pin connector.